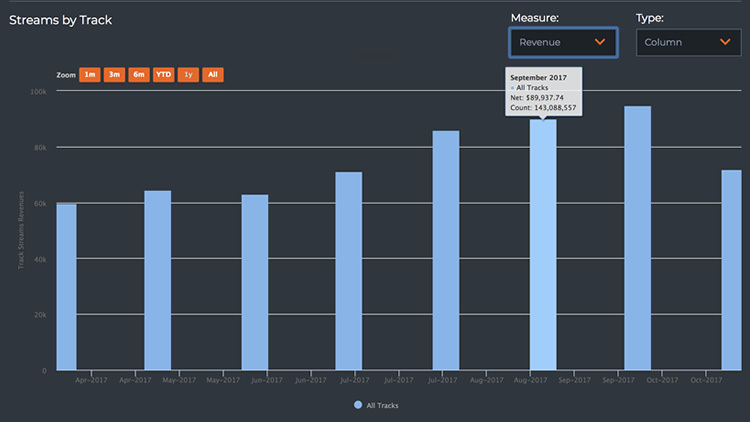 ONErpm’s sophisticated suite of monthly and daily analytics and accounting tools, provides content owners the strategic data needed to truly understand their business. 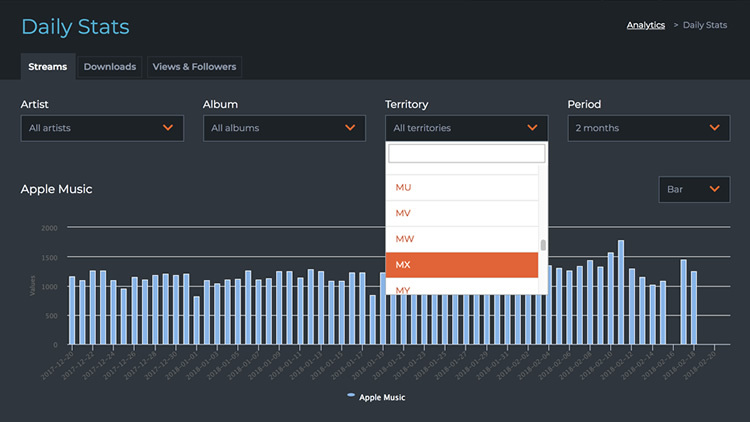 A proprietary blend of daily and monthly analytics, playlist and Content ID trackers, combined with transparent accounting and royalty sharing tools condenses and simplifies complex data for better and faster decision making. 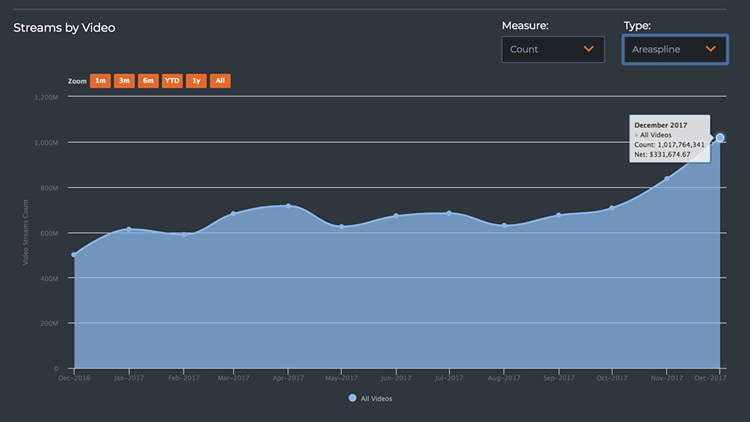 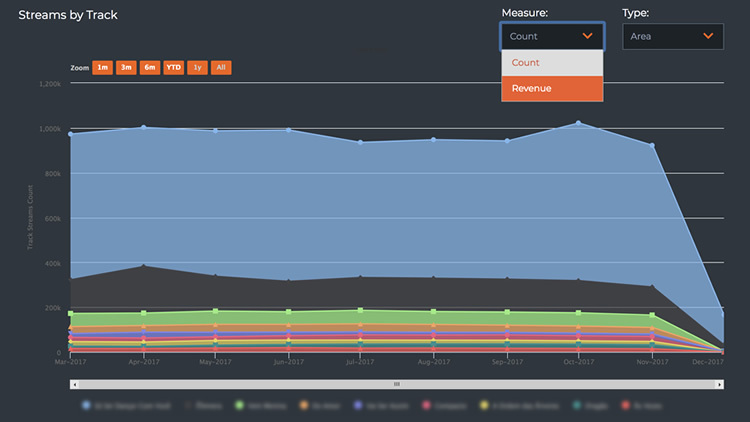 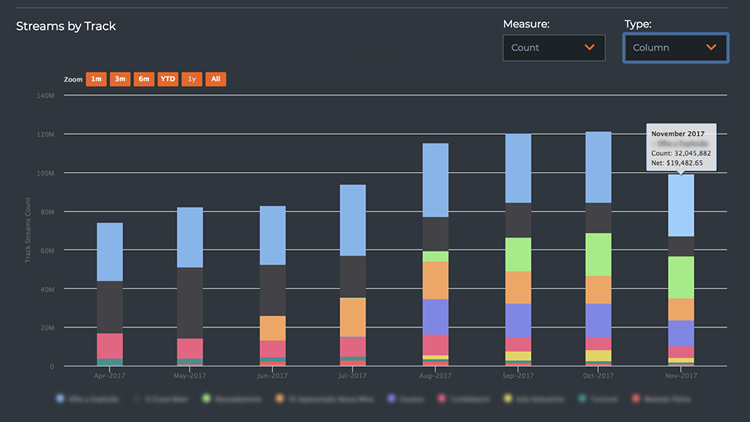 Derived from monthly sales, ONErpm analytics provide numerous lenses from which you can view your catalog’s performance. 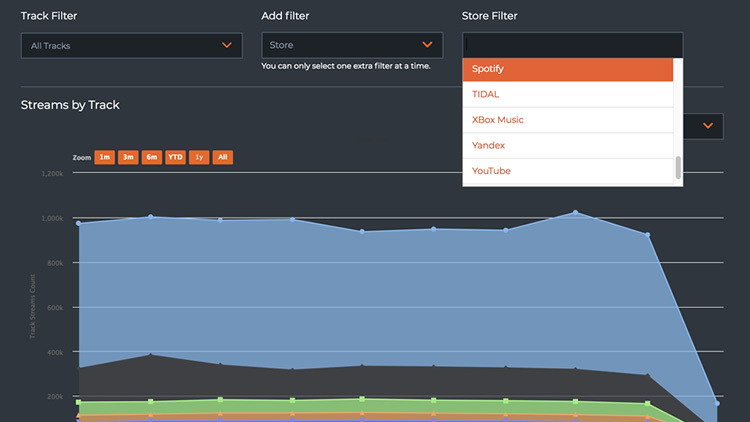 Select among sales, streams, or consolidated views. 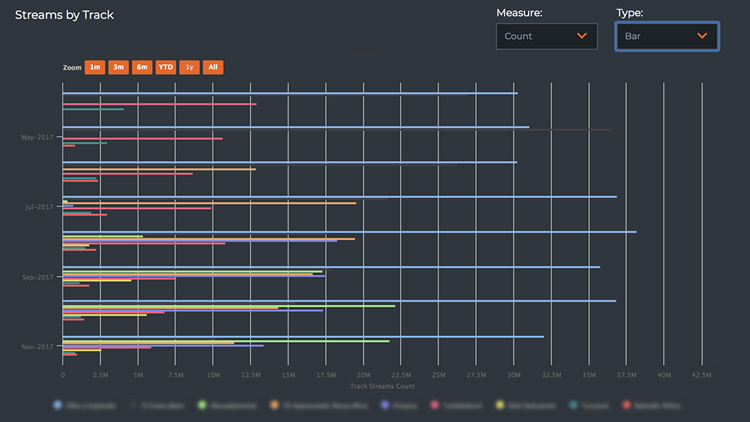 Stacked area chart. 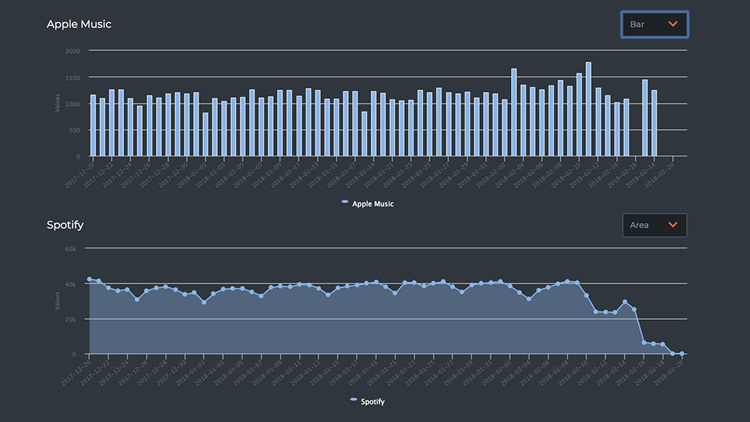 Displays number of plays and revenue. 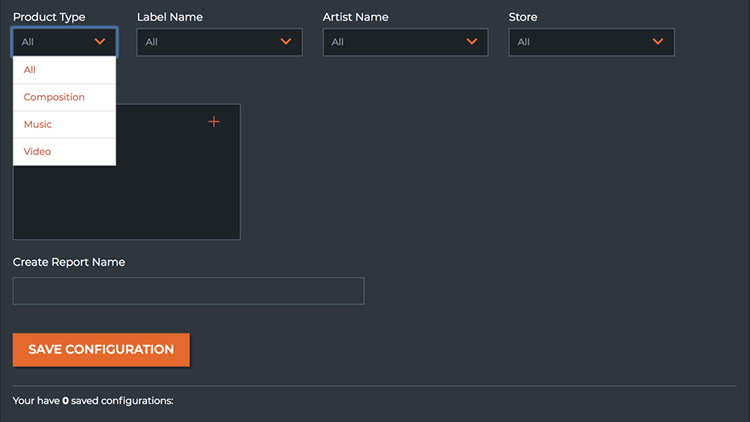 Create custom reports per artist, territory, store, and more to facilitate rapid processing of royalty calculations. 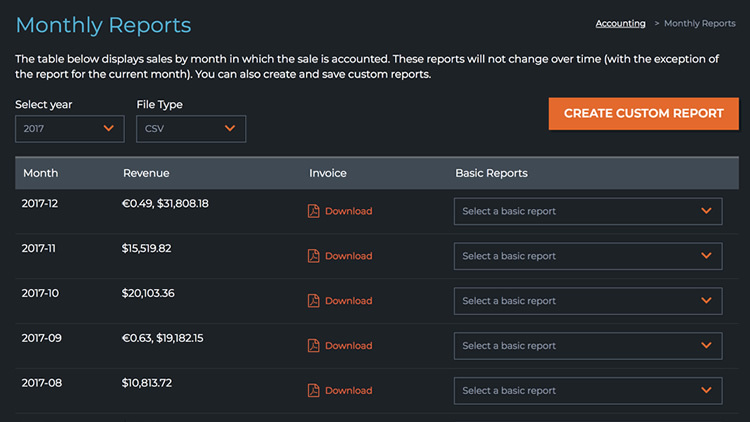 Basic reports include PDF invoices with full catalog downloads in various formats. 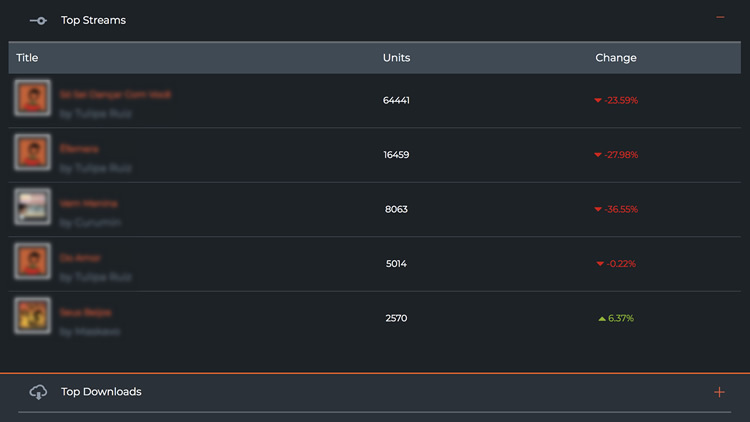 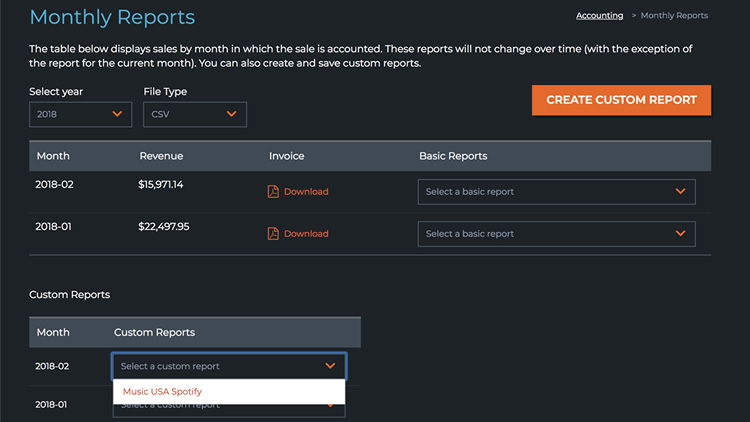 Custom reports are based on product types, and can be filtered by artist, label, store, and territory. 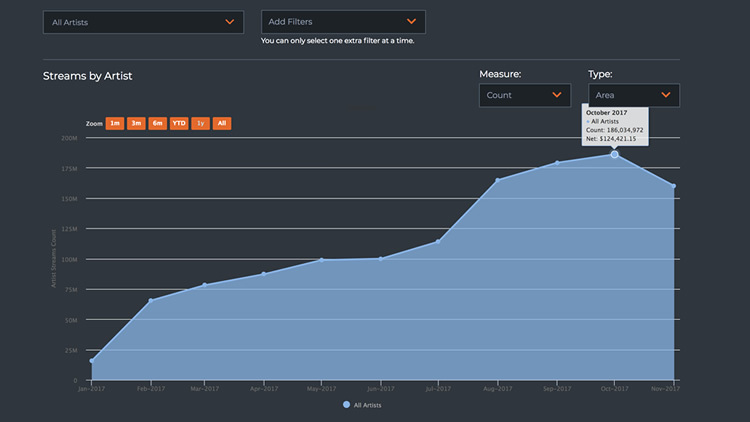 Download the saved configuration for any time period. 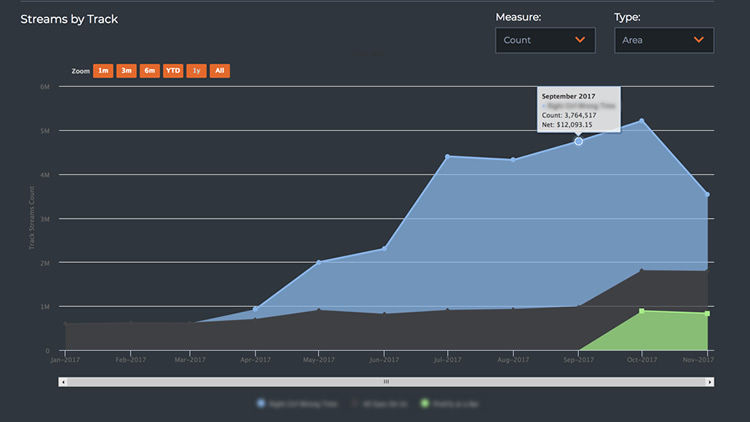 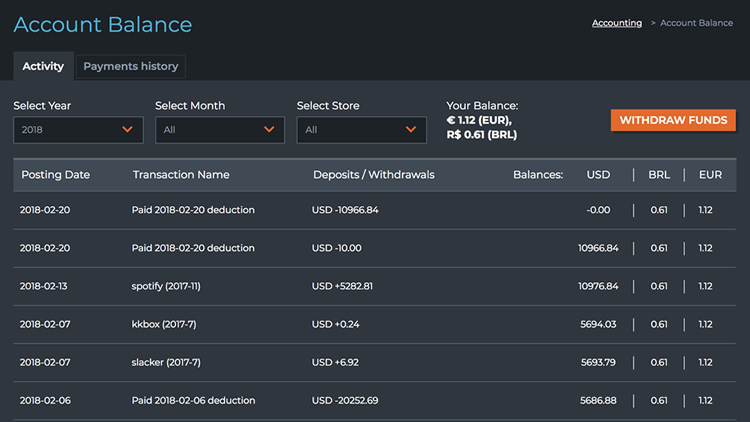 Track the flows of your inbound and outbound royalties with detailed monthly account activity statements. 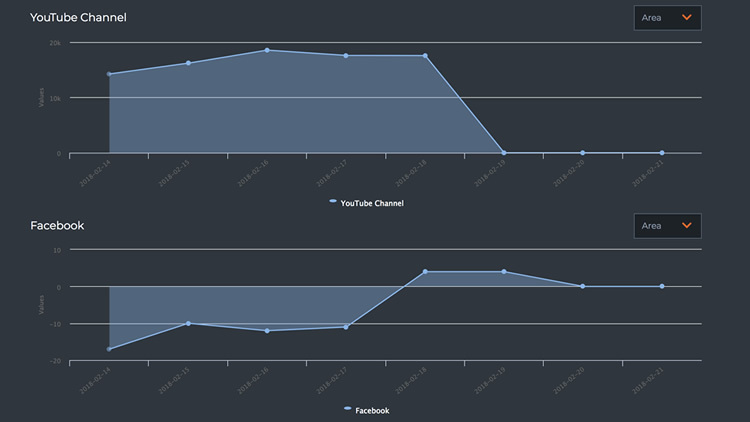 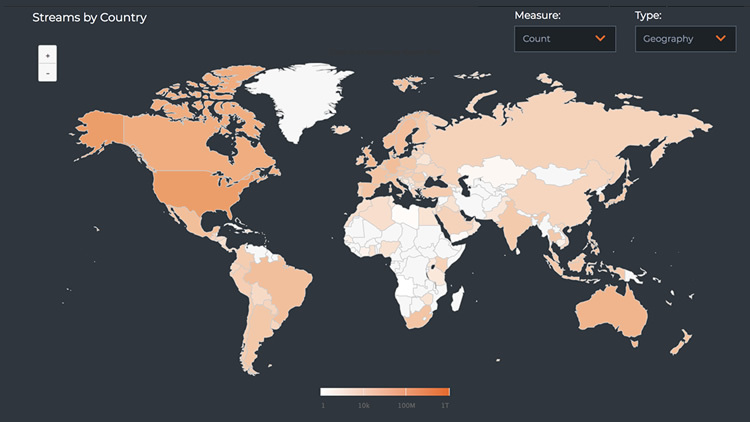 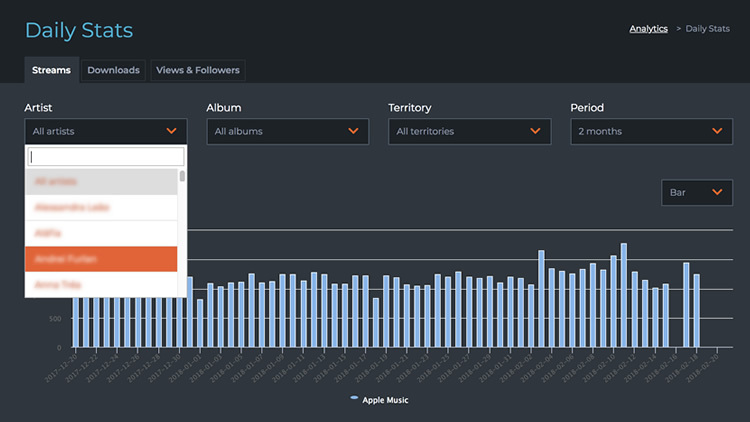 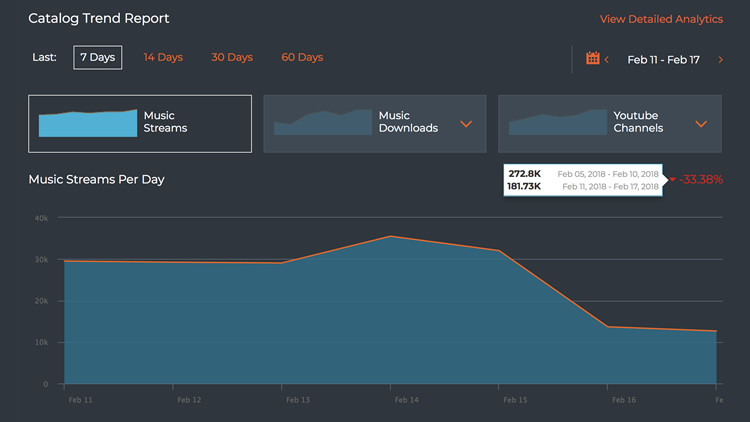 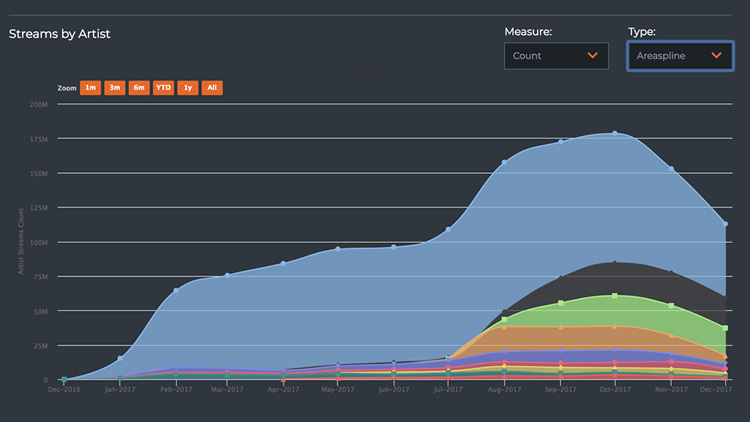 Playlist and Content ID trackers are great tools to measure how viral your music is. 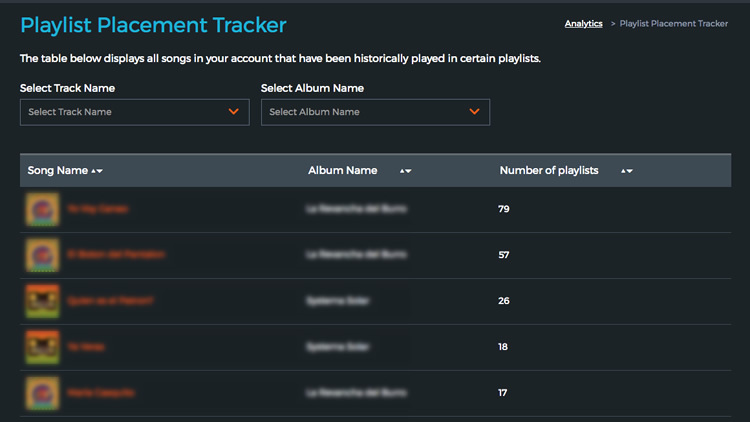 The Playlist Tracker displays all songs in your account that are included in a Spotify playlist sorted in descending order. 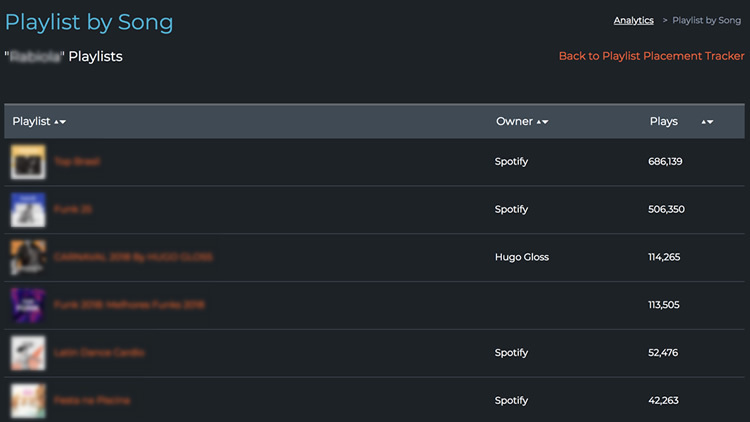 Once you click on the song the page will display all playlists the song is included in. 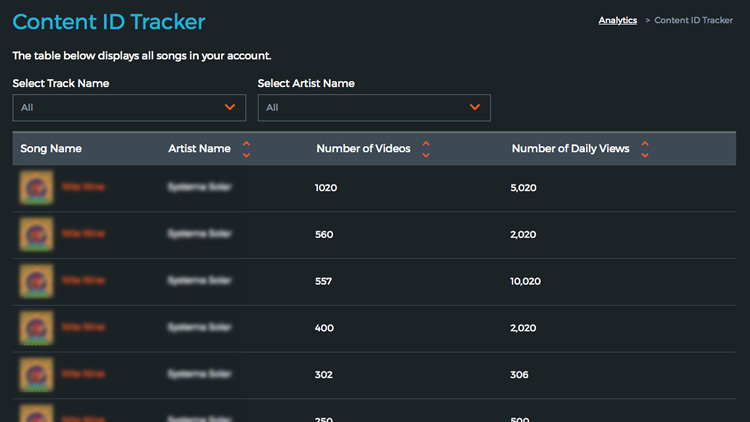 ONErpm’s content ID tracker displays all the songs that have been matched to third party videos on YouTube. 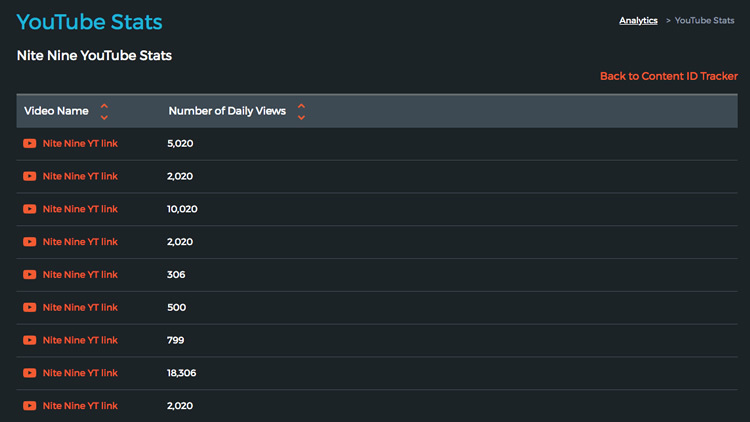 Each song returns a list of unique videos on YouTube that positively match your songs. 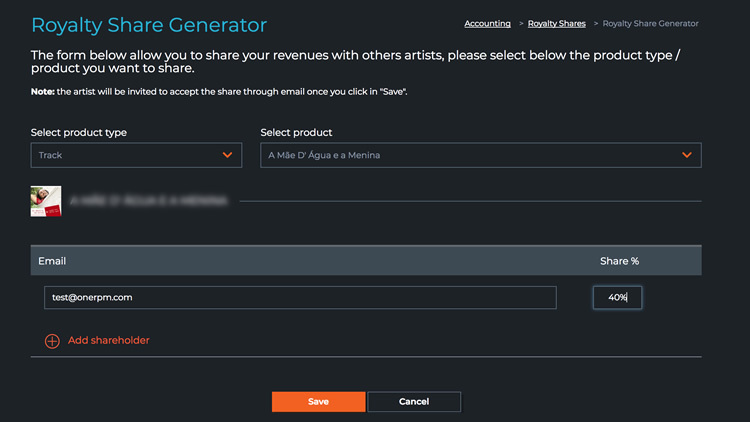 Select which product type you would like to royalty share. 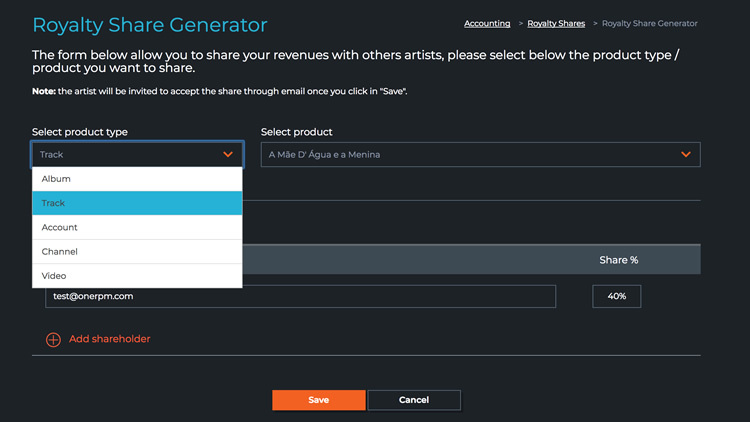 Each shareholder will be invited to create a ONErpm account to start collecting statements an royalties.